This beautifully glazed 6-inch ceramic planter is ideal for small indoor plants, small herbs, and succulents. 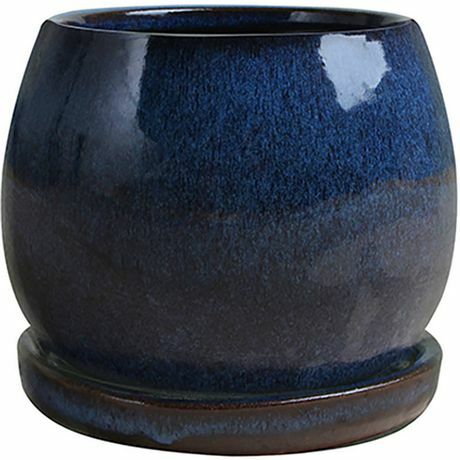 This style planter is offered in a variety of colours, and comes with an attached saucer, which stores excess water and helps to prevent water overflow. 1 ceramic planter with attached saucer.